There are several things you need to consider and have ready before you can install your first commercial sunbed, regardless of whether you are purchasing, hiring or lease purchasing your equipment. Here is a quick list of all the things you need to think about – we will be asking you these when you enquire. 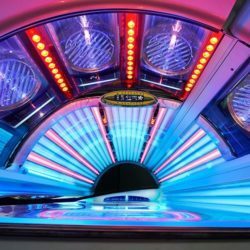 What style of sunbed fits with your business model? A laydown sunbed or a vertical sunbed. Do you have space for the minimum room dimensions and the minimum ceiling height for vertical sunbeds? Do you have adequate access to install the sunbeds? Do you have an adequate electrical supply – single or 3 phrase – to your premises? D0 you have a suitable electrical supply and isolator installed within 1.5m of the where you plan to install the sunbed? Do you have suitable ventilation in the sunbed room and within the salon? Do you have adequate insurance? You will need to add the sunbed to your insurance schedule and provide a copy to Cyrano. 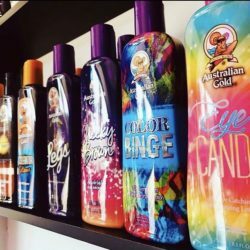 What complimentary tanning lotions do you stock for your customers?